(Hong Kong, 6 December, 2018) Van Gogh SENSES – the world’s first art-themed concept store dedicated to Vincent van Gogh brings a tasteful touch of colour to Christmas this year with six exquisite new hampers, specially curated with the celebrated artist’s work in mind and range in price from HK$688 to HK$6,888. 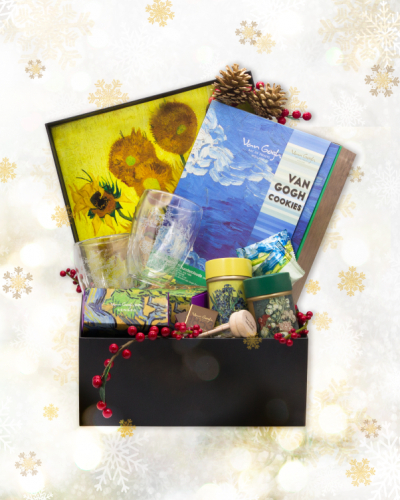 Licensed by the Van Gogh Museum in Amsterdam, the new gifting hampers have something for all tastes this Christmas – the Winter Luxury Hamper boasts everything from delectable cookies to relaxing essential oils and the popular White Holiday Hamper includes a selection of warming teas and luscious chocolates. The most affordable luxury option of the Christmas hampers is the Seasonal Joy Hamper priced at HK$688. This hamper is the perfect gift for loved ones who enjoy sweet treats with a design-led twist, featuring the Van Gogh Coaster Set in four designs and the new and delicious ‘Wheatfield under Thunderclouds Cookies Book’. Feast on cookies in four flavours; Choco-Almond, Oatmeal & Linseed, Matcha with Pistachios, and Cranberry & Cashew, which are hidden inside a “book” printed with Van Gogh’s landscape oil painting, giving the gift of art-inspired appreciation, along with a tasty treat. The White Holiday Hamper (HK$988) adds to these artistic offerings further with three keepsake Van Gogh SENSES tea tins, with a choice of nine favourite flavours ranging from Earl Grey Lavender to Passionfruit Oolong and Blueberry Kiss. The Van Gogh SENSES Double Wall Glass Set, with a combination of Almond Blossom or Yellow House designs will be perfect for sipping on beverages with friends over the festive period. Other gifts inside include both milk and dark chocolate Van Gogh Tree Roots Chocolate Slices, a decadent chocolate box and the ultimate Christmas snack, perfect to enjoy alongside a cup of warming Van Gogh SENSES tea. Give the gift of relaxation with the White Christmas Hamper ($988). 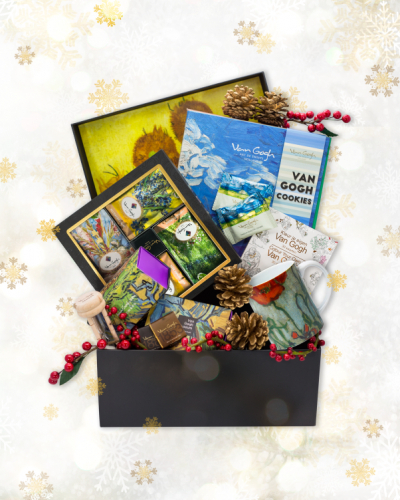 This box exclusively includes a selection of tea bags set; a tasteful Vincent van Gogh designed mug; and a beautiful colouring book with artwork postcards - the perfect gift for those cosy winter nights. 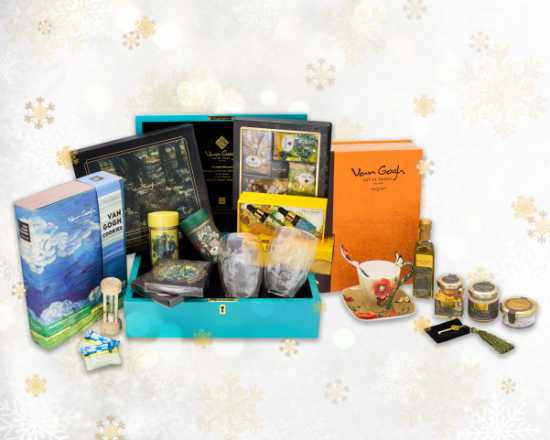 The Santa Claus Hamper (HK$1,688) is ideal for foodies, including the Tea Tins Box Set (offering a selection of different tea leaves), along with a delightful set of premium truffle products such as oil, salt, honey, and butter; perfect for adding a rich depth to any at-home cooking. 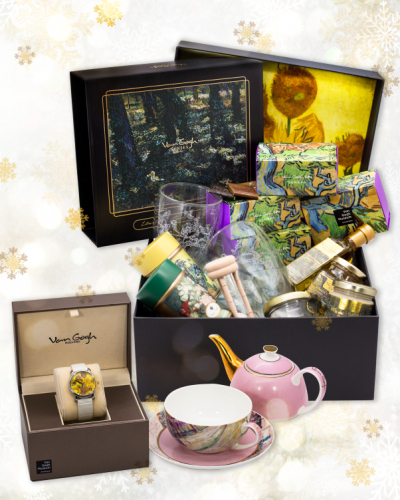 The Christmas Elves Hamper (HK$3,888) includes stylishly gift wrapped luxury Van Gogh SENSES items. Comprising a Swiss-made leather watch (available in both male and female designs - additional HK$200 for male design) and a delicate bone china ‘Tea for One’ set which reflects patterns from famous Van Gogh paintings. 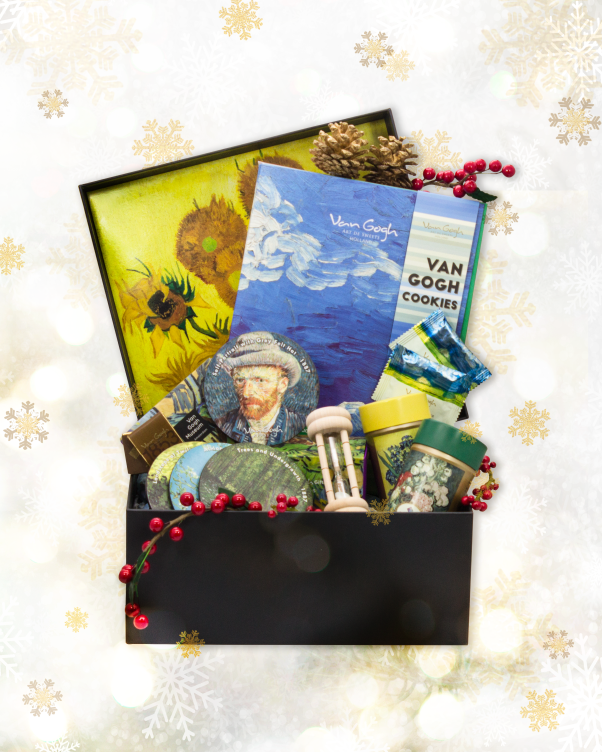 For an extravagance option, Van Gogh SENSES Winter Luxury Hamper (HK$6,888) includes some of the most in demand products, like the colourful Van Gogh Coaster Set, along with the brand new ‘Wheatfield Under Thunderclouds Cookies’ book’. 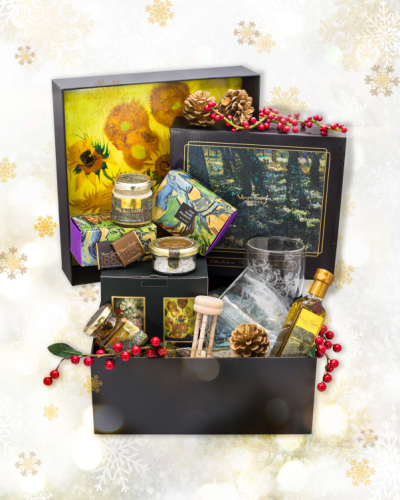 Also included in this luxurious hamper is a selection of essential oils, each inspired by one of the Van Gogh paintings, a beautiful Van Gogh Poppy Flower Porcelain Cup Set, and an Almond Blossom Wooden Gift Box, available with either inner jewellery tray or watch pillow. All six boxes are gift wrapped in artful Christmas packaging and are now available to purchase instore at the 1881 Flagship store, Tai Kwun gift shop, and Tuen Mun Town Plaza pop-up, until the end of 2018. Van Gogh SENSES is the world’s first art-themed concept store dedicated to Vincent van Gogh with an exclusive license from the Van Gogh Museum in Amsterdam. From food and confectioneries to paintings and utensils, every detail has been meticulously considered to let customers enjoy the essence of Van Gogh’s art in its finest form. Officially opened in October 2017 at 1881 Heritage, Hong Kong, Van Gogh SENSES has a strong intention to incorporate various elements to offer a dining and shopping experience that will definitely stimulate your senses – sight, hearing, taste, smell and touch. 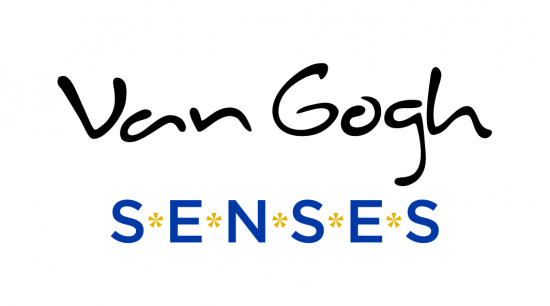 Van Gogh SENSES has recently opened a new venture in Tai Kwun Centre for Heritage and Arts – Van Gogh SENSES Gifts, inspired by the art of gifting. In addition, Guangzhou K11 Art Mall is also home to Van Gogh SENSES Bistro, inspired by the work of the Great Master, Van Gogh SENSES Bistro has been designed to reflect the artist’s inspirations. It is also home to the flower shop, Van Gogh SENSES Fleur. 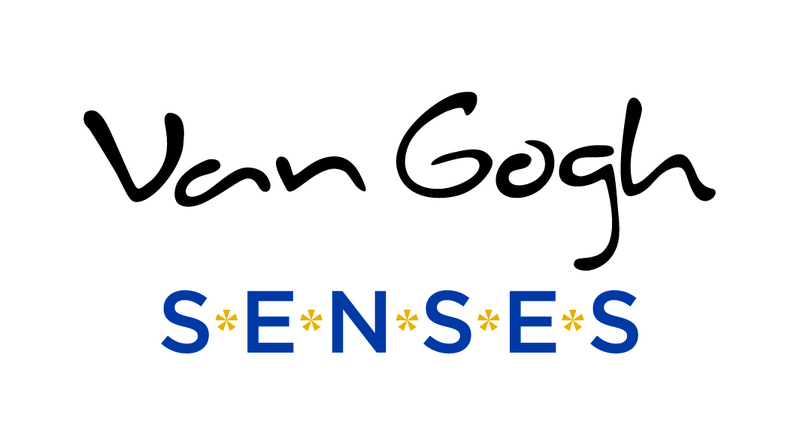 Van Gogh SENSES Pop-Up Store: Kiosk 3, 1/F, Phase 1, Tuen Mun Town Plaza, 1 Tuen Shun Street, Tuen Mun, N.T.